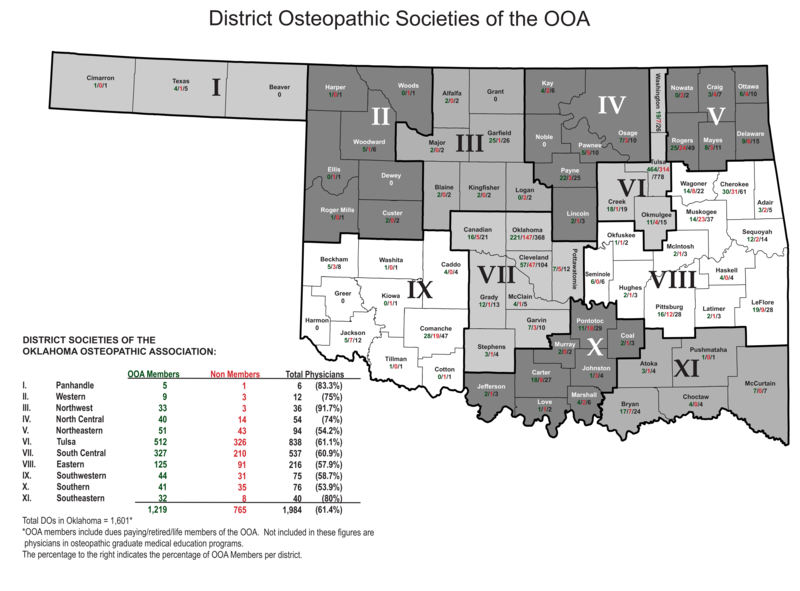 The OOA's District Societies are essential to connect osteopathic physicians across our state. Each district meets at least once a year to nominate officers and if available, nominate a representative to the OOA's Board of Trustees. This ensures equal representation of the osteopathic physician's in our state on the Board of Trustees. If you need assistance connecting with your district's representatives, please contact us at 405-528-4848.